Living in this advanced age of technology and convenience, it’s hard to imagine life without some of its modern comforts. To think there was once a time without the Internet or smartphones, automatic transmission, or on-demand television streaming; there wasn’t always regular mail delivery, refrigeration, indoor plumbing, passenger airplanes, or unlimited data plans. But since humanity’s humble beginnings, few technologies have stood the test of time, reimagined and repurposed with each generation. Indeed, I’m talking about packaging. When you hear the word packaging, thoughts of wrapping up and shipping products or mail come to mind. Before there could be any kind of postal infrastructure, however, there had to be something to store whatever it is that was being moved. After all, it’s much easier carrying smaller items in a single container rather than making every trip to the market a balancing act. Grocery shopping, for example, would be pretty stressful if not for those handy paper or plastic bags. But like most aspects of ancient life, our ancestors relied on nature to provide packaging material too. 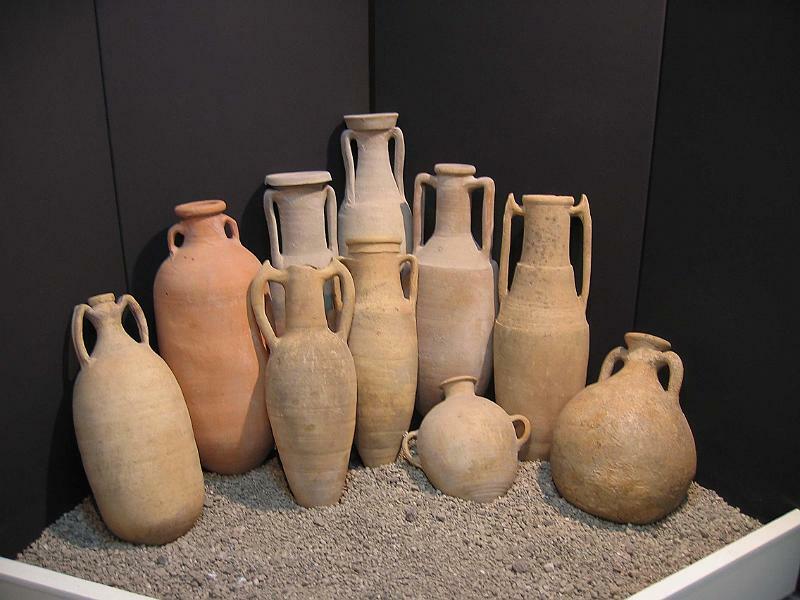 Early examples from the Classical era range from wooden boxes, barrels, and chests; reed baskets and woven bags; and, for liquids, ceramic pots, glass vases, and amphorae were most popular. Certainly these early containers helped to keep one’s possessions in order and easier to move. It’s the latter, however, that revolutionized the act of buying and selling goods — and, in some cases, made it more attractive. With the help of packaging, merchants could send their products far and wide in bulk orders to new customers eager to try foreign delicacies and gizmos. For local patrons, packaging began to fulfill a role in customer service too. For example, the earliest use of paper packaging dates back to the early 11th century when Persian travelers to Cairo’s bazaars noticed merchants wrapping foodstuffs like vegetables and spices in paper after a sale’s conclusion. Fast forward to the 1700s and tinplate started to take the stage in industrial packaging. Global commerce continued to expand along with new trade territories and the intermingling of foreign markets. As trading opportunities grew, so too did the need for new ways to move, store, and market goods. By the 1760s, British tobacconists used tin canisters to package snuff; by 1805, roughly 50,000 of the 80,000 tinplate boxes annually made were later exported for use in other countries. In contrast to the cubical box, the cylindrical tin can followed soon after, first patented in 1810 as a new food storage container. In 1813, troop rations for the British Royal Navy were stored in tin cans; inconveniently, the first proper can opener was invented over four decades later in 1855. Prior to a dedicated tool, the preferred method was chiseling the top open with a hammer. That is, of course, unless the can already had a built-in pull ring (as shown above). As markets continued to expand, so too did the need for a dedicated packaging industry; with a demand for packaging came competition that promoted innovation. While tin cans and boxes were popular and effective, until the late 1800s, they were all made by hand. A single canmaker could only make about 60 cans on a good day, hardly enough to sustain the growing demand. Engineers and machinists instead worked on ways to mechanize the process, but competitors sought entirely new ways to grab a piece of the packaging market, some by design, others by accident. Corrugated cardboard and folding cartons are a mix of both. Cardboard as a packaging material had a sort of renaissance by the early 1800s. While records of cardboard boxes date back to the 16th century, corrugated boxes for commercial use were first made in England in 1817; folding cartons came a bit later in 1839. Compared to tin, paper and cardboard were much easier to produce and work with, though at the cost of hardiness. Nevertheless, the cost of production and the speed it took to manufacture corrugated cardboard containers became an attractive alternative. It wasn’t until 1890 that a printer named Robert Gair accidentally discovered an even faster way. One day while making seed bags for a customer, the metal ruler used to crease the bags had shifted positions, accidentally cutting them. Upon inspecting his mistake, Gair discovered that by creasing and cutting in one fell swoop, he could stamp out prefabricated cardboard boxes for quick assembly. By the 20th century, aluminum and plastic were introduced to the packaging industry for their performance and versatility. While their inclusion continued to push the production of containers for any food, toy, tool, or sundry object you can think of, a new problem arose: what do we do with the containers after they’ve served their purpose? With the rise of these materials and an increase in post-consumer recycling initiatives and environmental awareness, metals like aluminum and tin, along with paper and plastic have remained economic and sustainable materials for building packages. Now, recycled metals and paper pulp makes its way into plenty of bags and packing materials. But even now we’re still far off from the pinnacle of what packaging can do. The packaging sector has proven to be an optimistic industrial area. In fact, Pöyry Management Consulting considered the $670 billion USD sector “a very exciting and dynamic industry” at their annual Investors Breakfast last December, citing demand and population growth especially in the Asia Pacific region. Growing steadily over the past twenty years and unshaken by the Great Recession, the marketplace has proven that, as long as people have things to own and send to others, there’ll always be a need for packaging. That said, the physical and material fundamentals of packaging have remained mostly unchanged. Now, today’s packaging industry has its sights set further on sustainability and technical innovation. Of course, not to mention the increasingly important role packaging plays in brand marketing. To date, numerous retailers, designers, and logistics companies have come up with clever ways to merge their branding with their packaging. While some make the best of conventional materials, other ideas like edible food containers made from sugar and agar and flexible, reusable milk cartons that make material reclaim a lot more efficient prove that the only end to packaging design is limited by human imagination. The future certainly looks bright for packaging, but only one question remains. For an industry that’s as old as humanity itself, how will it continue to evolve alongside us in the years to come?